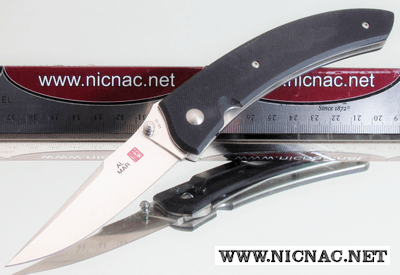 << Back Al Mar Knives Shrike SKE-2G knife for sale, don't miss out! Al Mar Knives Shrike SKE-2G, 4" blade. O.A.L. 8.5" and weighs 6 oz. Textured G-10 Scales with Black Pocket Clip. Liner Lock.